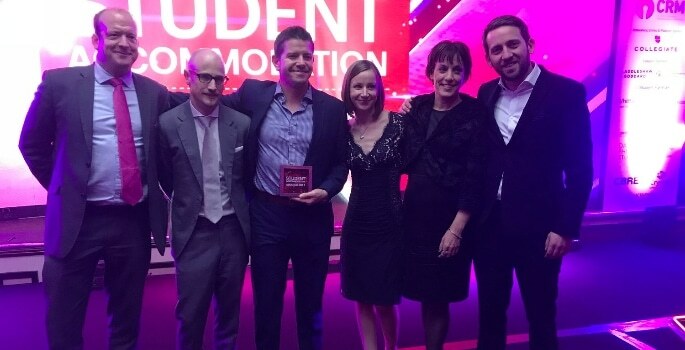 One of the region’s fastest growing tech companies, ASK4, has recently been awarded the Innovation of the Year award at Property Week’s national Student Accommodation Awards in Birmingham. The award is in recognition of ASK4’s unique service, 4Network, which allows users of a managed Internet service in multi-tenant buildings to have their own private and secure wireless network via the building’s shared infrastructure – just like at home. 4Network forms a unique part of ASK4’s network infrastructure and has been developed over a number of years in direct response to the changing connectivity demands of current and future students. 4Network is ASK4’s response to the influx of new WiFi connected devices, entertainment systems and infrastructure now available to students and accommodation operators. The judges praised ASK4 for ‘taking a new approach to meeting a real need’ and you can read about 4Network and its significance for the student accommodation and build-to-rent sectors here. Founded in Sheffield with a city centre HQ, ASK4 employs over 100 people and serves over 160,000 customers across 400+ sites in the UK, Ireland, Germany, Spain, Portugal and Poland.